Borton Fruit is harvesting new apple and pear varieties weekly, all having outstanding quality! 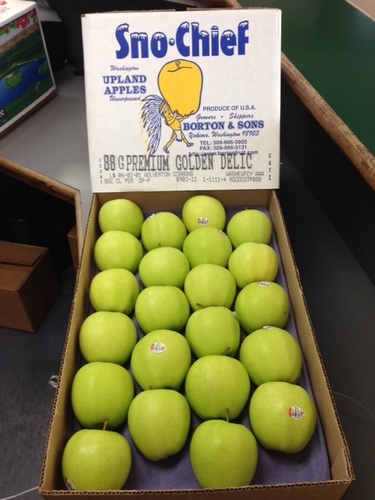 In the past couple weeks, Borton has started packing our early September Wonder Fuji’s, Granny Smith, Golden Delicious and Jonagold Apples. 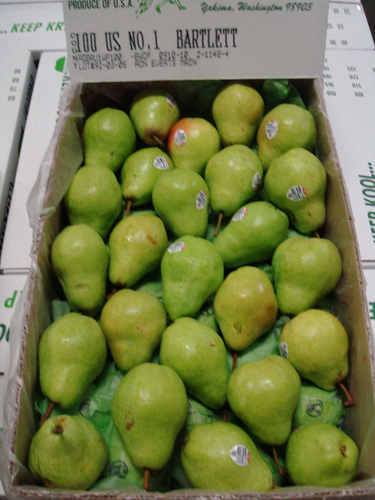 In addition to the Apple varieties, we’ve also began packing Bartlett, D’Anjou and Red D’Anjou Pears at our W. Chestnut facility. 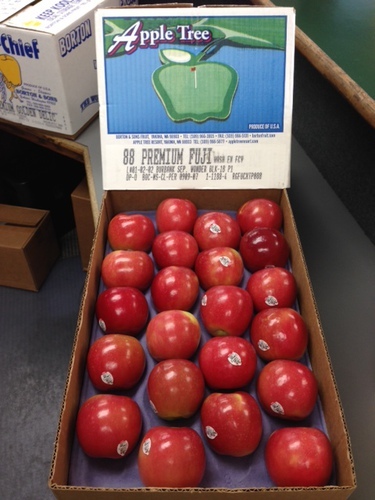 “We have been packing our September Wonder Fuji’s for the last two weeks. Although we’ve received a few different lots, the quality has been consistent and color has been good. All are crisp and eating well,” states Chad Chronister, our Quality Assurance Manager. 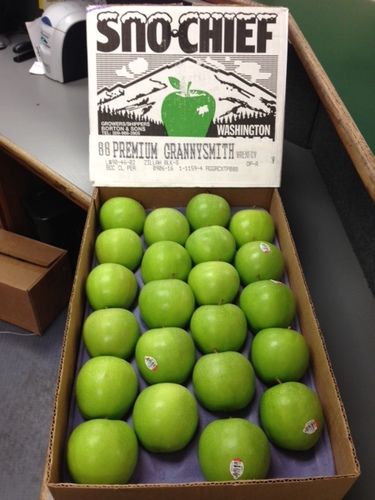 We received our first Granny Smith lot last week as well. “They are clean and Green!” says Chad, “Consumers will be happy to know that the apples are firm, crisp and have a tart flavor.” The Golden Delicious apples we’ve seen have had a great texture and flavor. We have only received a few lots in at this point but expect to see many more within the next couple weeks. 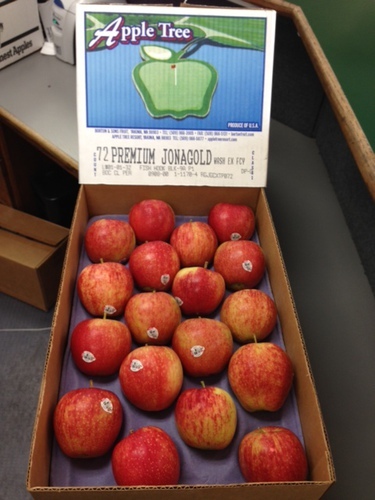 Jonagolds started off last Sunday and according to Chad, “The apples have good size, good color and have possessed very few defects. 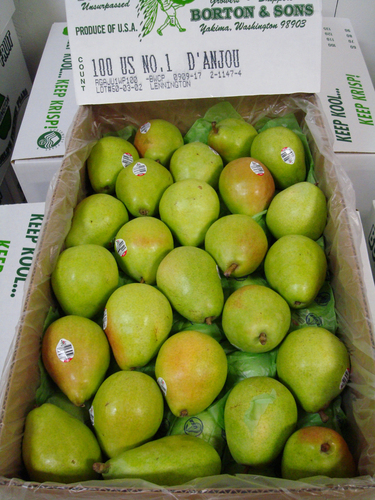 We have been happy with our 2014 Pear crop as well. Please see pictures below of all new crop varieties we’ve started in the past couple weeks. 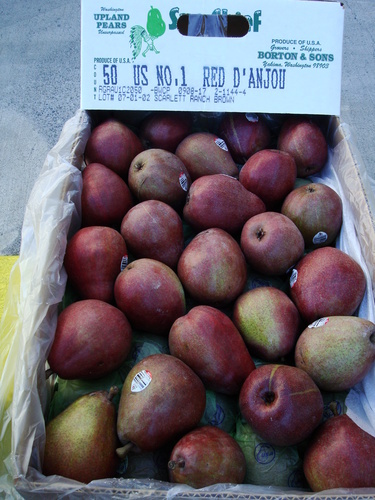 “Overall, I’ve been pleased with the quality of all our varieties. We have seen significantly less defects compared to last year, and the color has been outstanding particularly in the Fujis, Galas and Honeycrisps.